In 2004 Parker produced the witty and stylish Pinstripe S.E. One of the most intriguing aspects of the manufacture was how Carville produced the pinstripes. on the surface it looked straightforward but in fact the process was quite ingenious. Inspired by the works of Irish architect, artist and designer Eileen Gray (1878-1976). in an astonishing geometric pattern that the brown body of the pen illuminates with turquoise blue and beige lines. The nib is medium, handmade, engraved with the symbol of the company, made of solid 18ct gold, for high-precision writing. 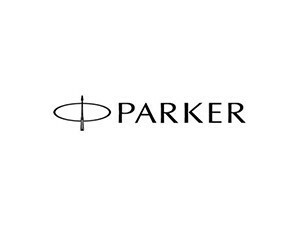 The pen is meticulously polished and hand-assembled, piece by piece tested, to ensure Parker\'s quality. An emblem of Parker\'s heritage and a symbol of excellence since 1921, Duofold remains the most distinguished pen in Parker\'s discerning lineage.